This universal drill type Laptop Stand System installs quickly and easily into most vehicles by drilling through the floor board and then bolting down the mount base to the vehicle. 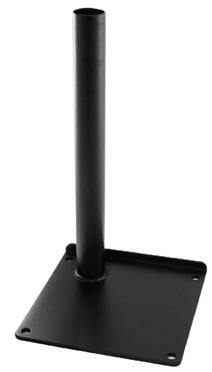 The Universal Drill Mount Vehicle Base made from heavy duty steel and powder coated for durability. Telescoping Tele-Pole that facilitates height adjustment from 12 to 18 inches. Dual swing reticulating arms that provide articulation and 12 inches of reach for the driver or passenger to access to the mounted device. Patented rubber ball and socket joint allows you to angle your device for optimum positioning as well as shock and vibration isolation. The RAM Tough Tray™ is spring loaded to accommodate 10" to 16" wide laptops . (Up to 17" wide screens). The tray features four adjustable retaining arms with rubber grip feature. These arms can be moved both vertically and horizontally. This allows for a custom fit for varying thicknesses of laptops and the freedom of not blocking ports or drives. Many add on accessories are available that can be attached to the laptop tray or the Tele-Pole (See below). Additionally, the hole patterns on the perimeter of tray facilitate the mounting of additional RAM systems to support GPSs, Cellular Phones, PDAs or other electronic devices. 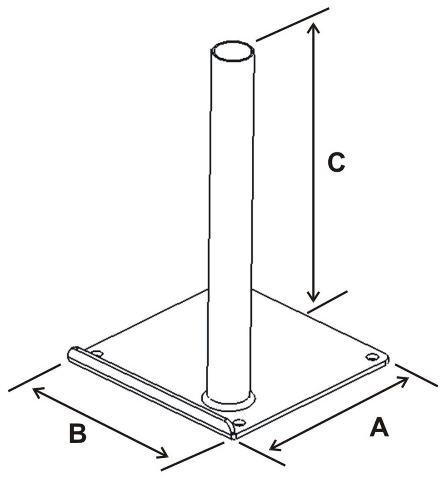 The lower TelePole is welded to the base and cannot be removed. We bundle the laptop tray with the Flat Finger Retainers. This enables closing the Laptop screen all the way.